Where the Sheep Sleep (WtSS) is a participatory event and will not be open to spectators. However, you are more than welcome to join us as a part of our co-creative community. To become a co-creator is a commitment to yourself and the community and you are expected to actively contribute in order to create the Burning Man NL “Where the Sheep Sleep” event that you dream of. How do I join as a co-creator of WtSS? Actively contribute in the creation of the event. Join the Facebook page to get updates and communications related to Burning Man NL and to our events. This is also where you direct any questions you have about the event. If for some reason you do not want use Facebook, it is your responsibility to find other ways of taking part in the information communicated there. Take responsibility for everything regarding your own participation. Including for example: transportation, food, water & hygiene. That you are over age 18. Any participants under age 18 must be registered and accompanied by their legal guardians. Access to the press etc. is not allowed. By attending WtSS, you accept our agreement for use of images. Everyone with a camera should read this carefully. Provide your real name, email, phone number, and address when registering. This could be made available to other members. Filling in our participation form once you have a ticket. Approximately 750 people attended in 2016, but we expect to grow organically over the years so we will have more participants in 2017. 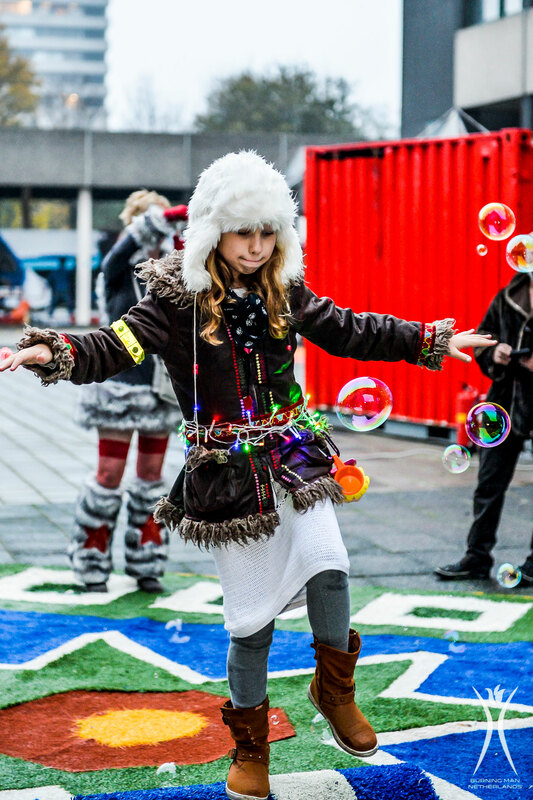 What is the Burning Man Netherlands event membership fee? The Burning Man Netherlands event membership fee was 10 € and its benefits last until December 2017. This fee supports the nonprofit year-round in fixed costs, office expenses, insurance etc. As an event member you have access to registrations and ‘tickets sales’ of all events initiated by Burning Man Netherlands and expected to actively participate in co-creating these events itself. The Event Membership program will be closed and changed into ‘Friends of Burning Man Netherlands’ after December 2017. Therefore it is no longer possible to get an event membership now. Tickets are personal and your real name needs to be in our system for you to attend. This a legal requirement that we need to follow. Anyone getting in to WtSS without their real name registered is a threat to the legal status of the entire event, and risk us getting shut down completely. Two. Everyone who receives a personal invite (as event member) has the opportunity to register one more person, providing there are still tickets left. Tickets are personal and you have to be able to provide names for both at the time of registration. Yes. Allthough tickets are personal, and you will be checked in when you arrive at the gate, it is possible to transfer your ticket to someone else if you are not able to attend. You will be allowed to resell your ticket(s) at face value, but we hope to see you’re gifting… ;-). No. Only event participants can apply for Art Grants and other grants. You have to successfully obtain a ticket for the event first. Is there any other way to get access? Yes (but pretty much no). The people of the board, committee and event production get the opportunity to register themselves and a guest. It would be a problem if the people who are legally responsible for the economy and security of the event were not able to attend. Therefore, the decision was made to give the board memberships before registration opens to the public. There are also a few tickets set aside for contingency, to allow last-minute access for example close neighbours or government relations. First, to cover some costs; rent, permits, power, toilets, safety arrangements and some other small things. The rest of the money will go towards Art Grants. As a member you will be able to apply for grants to cover expenses, and you will also be a part in deciding which projects get funded. When you have paid your fee, you can add your own project through a special form. Children up to 12 years participate for free. Co-creators under the age 18 may only participate accompanied by a legal guardian.